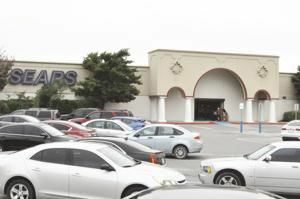 Customers are seen walking into Sears, which served as a staple for the Valle Vista Mall in Harlingen for years. HARLINGEN — City leaders will meet with Valle Vista Mall’s new owner to discuss the shopping center’s future following Sears’ announcement the iconic national retailer will close its Harlingen store. Sears announced it was closing its local store along with 141 others near the end of the year after it filed for Chapter 11 bankruptcy. Yesterday, company spokesman Howard Riefs stated the number of local employees “impacted” was not available. Sears’ announcement marked the latest in a rash of retail store closings and odd storefronts at the mall. Last year, Payless ShoeSource, rue21 and RadioShack closed. At about the same time, Forever 21, which opened in 2009, replacing Mervyns, shut its doors. A recent stroll inside the 650,000-square-foot mall found about 25 percent of its storefronts empty. At City Hall, officials plan to meet “very soon” with Mike Kohan, Valle Vista Mall’s new owner, City Manager Dan Serna said. Serna indicated revenue derived from the mall was a factor leading to his decision to decrease the city’s sales tax revenue projections from 5 to 2.5 percent this year. “ We took trends into consideration over the past several months,” Serna said. Meanwhile, Kohan said he was considering replacing Sears with a retailer, entertainment venue or an apartment development. Recently, Kohan bought the mall for $12.5 million following its placement on a real estate auction block after ProEquity Asset Management Corp. managed the property. In 2017, Washington Prime Group turned over the property back lenders, citing profits had not met expectations. Simon had previously owned the mall. Yesterday, residents were busy posting their comments on Facebook. Some residents held out hope for the mall’s future. “ Oh, I hope they can revive that mall,” Cynthia Esparza Weston wrote. But Mark Castillo shared his gloomy outlook. “ That whole mall will be closing soon,” he wrote. But Kohan said the mall has not been operating poorly. “ I don’t think that location is doing that bad,” he said. However, in August, Dillard’s, the mall’s flagship store, announced it was turning its local store into clearance center. Across the country, malls have been in decline for years, victims of surging online shopping and changing patterns favoring smaller shopping centers. In 2008, the city offered the mall more than $1.2 million in incentives to help Simon upgrade the property. In 1983, Valle Vista Mall opened as the city’s premier shopping mecca, drawing residents from across much of the Rio Grande Valley. By 2002, the construction of the Expressway 77-83 interchange blocked traffic to the mall, driving many shoppers to north Brownsville’s growing retail district.